UberEATS has finally arrived in Pretoria and is ready to feed the hungry! Admirers of Moo Moo, besties of Aroma Coffee Roastery and cravers of Hard Rock Cafe wait no longer, your meal will be with you at the tap of a button. 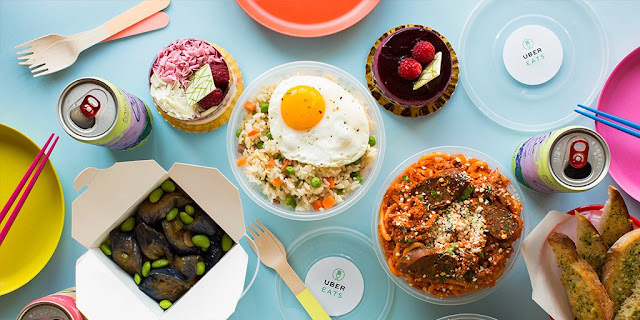 The UberEATS app can be downloaded on the app store or through the Uber rides app, or at ubereats.com, and meals can be requested for delivery in Pretoria from 07am to 10pm, seven days a week with a R20 delivery fee. UberEATS connects you to dishes from over 700 top restaurants in South Africa. Other restaurants available via the UberEATS app include the Jolly Roger, Life Grand Cafe, Turn n’ Tender and Wimpy. UberEATS now offers those living in Pretoria an easy alternative to getting good food in good time, with no minimum order size. Don’t get hangry, get UberEATS! Download the app or go to ubereats.com to find what you’re craving, and we’ll handle the rest. Sign in - you can use your existing Uber account for UberEATS - or create a new one. Tell us where to deliver - add your home, work, or any other address you’d like. Browse local restaurants - search for your favourite local restaurant or try something new. Browse food types - looking for Indian? Use the search function to look up the options. Check out with a tap - simply pay with your card on file. Track your order - watch as your order gets picked up and delivered right to your door. Not yet in your area? Don’t worry, UberEATS is expanding quickly and hopes to be in your area soon! Use the promocode EATSPTA17 on checkout for R50 off your first 2 orders!